Mastered for iTunes… will be the standard from now on. It is 100% based on solid science, as you will learn in the chapters of this book. In iTunes Music, the tools of the trade are expertly explained by Bob Katz in a way that informs the professional and enlightens the beginner. The next time I’m asked "What is mastering?" I’ll answer the question with a question: "Have you read Bob’s book[s]?" Knowledge is key to understanding, and Bob’s book clarifies the "new world order" of music delivery with the right mix of practical and technical detail. No matter your background, if you care about how your music will sound to others, you need to read this! You should be able to provide better sounding music after reading Bob’s book! Katz is unusual as an author in combining a high-flying day job—and all the secrets that mastering usually entails—with a desire to communicate and demystify technology and methods. He’s now turned his attention to the bugbear of high-end and addressed the iTunes generation. You know you’re going to want to read it. Bob Katz turns the dry, but critically important, technical side of mastering into an engaging easy read, and does it without sacrificing depth or completeness. The beautiful graphics and clear writing style offer a masterful education for the reader. iTunes is a reality of today’s production world. iTunes Music helps shed some new light on this mystifying topic. 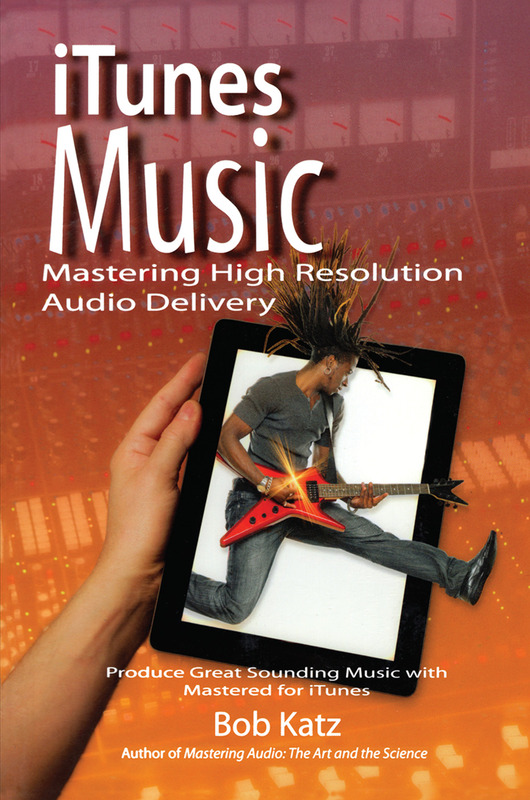 From the best way to handle metadata and higher sample rates to coding and final delivery, this informative work is the "go-to" manual for modern music mastering. Bob Katz played the B flat clarinet from the age of 10, and his lifelong love of sound and music led him to become a professional recording, mixing and mastering engineer (since 1971). Three of his recordings have garnered the GrammyT award and many others have been lauded in publications such as Stereo Review, Audio, and Stereophile. He has written over one hundred articles for audio and computer publications, and is an inventor and manufacturer with processors and support gear in use at mastering studios worldwide. His most recent patent-pending inventions, the K-Stereo and K-Surround Processors, fill a missing link in the mastering and post- production pantheon. He has been a workshops, facilities and section chairman of the AES and has given lectures in several countries. Currently, Bob runs Digital Domain Studios just north of Orlando, Florida.